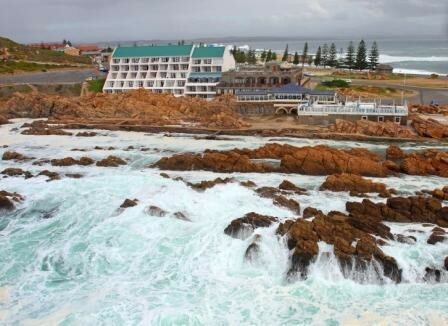 Directly below the Point Hotel is the largest tidal pool on the South African coastline. Formed by natural rocks, this area is a popular place even at low tide and offers safe bathing to guests. 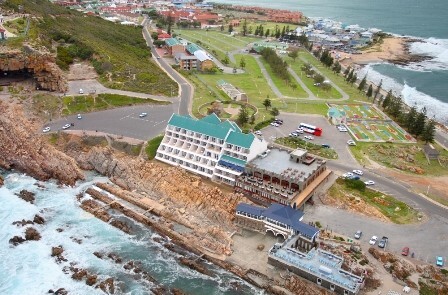 The Point is an area unique to Mossel Bay with a Cape Town waterfront atmosphere – within walking distance of the hotel we have a choice of four restaurants including a Steakhouse, Seafood Restaurant, Tapas Bar, Oyster Bar and a coffee shop all with spectacular views, a lovely beach, ideal baby and toddlers paddling pools, a shark and ray aquarium and a Putt Putt course ideal for children. Take in the sunset with a relaxed stroll along the beachfront and enjoy the vibrant holiday atmosphere. 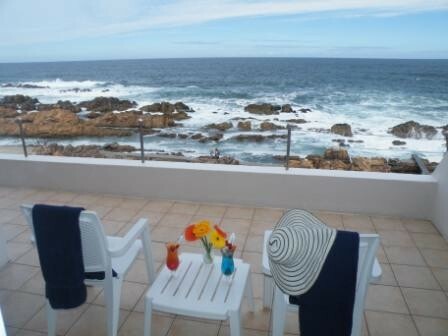 Privately owned hotel with spacious, modern, sea facing, en suite rooms each with private balcony from which you can view the majestic passing of the Humpback or Southern right whales as well as dolphins. 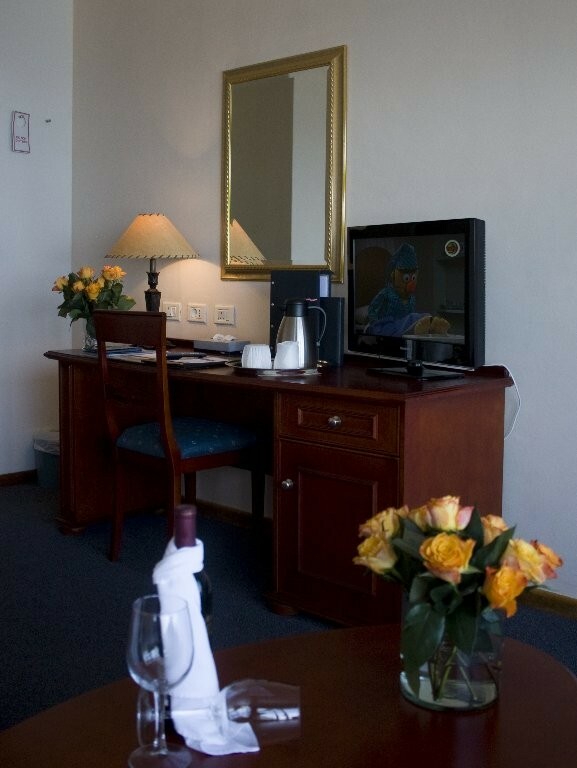 Each room equipped with international plug points, TV with MNet and DSTV, remote control ceiling fans, panel heaters, direct dial telephones, radio alarm, hairdryer, coffee and tea station, electronic safe, Internet connection and Wi-Fi connectivity throughout the hotel. 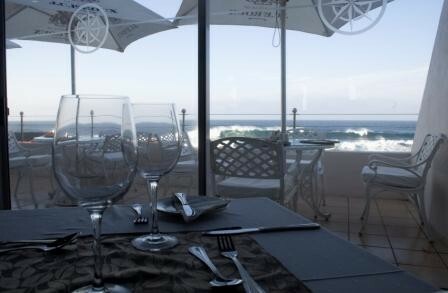 The Lighthouse Restaurant with it’s dramatic views over the sea and rocks give it one of the most dramatic settings in the Garden Route. Specialises in Provencal-inspired Mediterranean dishes including delicious seafood, light meals and individually tailored set menus and buffets for groups. Serves sumptuous buffet breakfasts every morning. Relax on our terrace with a cocktail and enjoy a spectacular sunset. 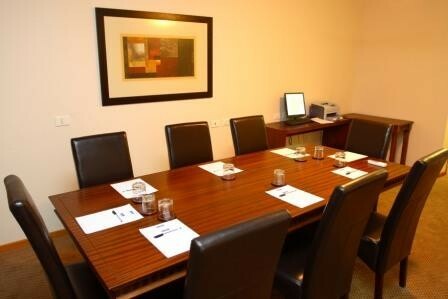 Beautifully appointed boardroom available for up to 10 persons and offering free computer, printing and internet facilities to all guests. One of few conference centres that has such stunning views over sea and rocks, all standard conferencing equipment available. St Blaize Coastal Walking Trail – trail begins below the St Blaize Lighthouse, situated above The Point Hotel and is 13.5 km of breathtaking views leading along a contour path to the next town of Dana Bay. St Blaize Lighthouse, erected in 1864 it is one of the only 2 lighthouses on the South African coastline that is manned 24 hrs daily and is open to visitors. Khoi-San Cave directly below lighthouse, originally inhabited by indigenous Khoi-San people. 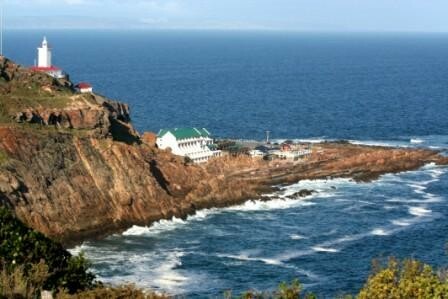 This is the site where Bartholomeu Dias was first witnessed during his discovery voyage of the Southern Cape. The War Memorial – built on “Frog rock”, so called because of its shape. It honours the dead of the 1st, 2nd World War, Korean War and the soldiers who guarded our borders. Sports facilities such as golf, tennis, bowls, squash, angling and sailing are all available in the area. Contact Establishment directly for up to date rate information.